Python is a multi-domain, interpreted programming language. It is a widely used general-purpose, high-level programming language. It is often used as a scripting language because of its forgiving syntax and compatibility with a wide variety of different eco-systems. 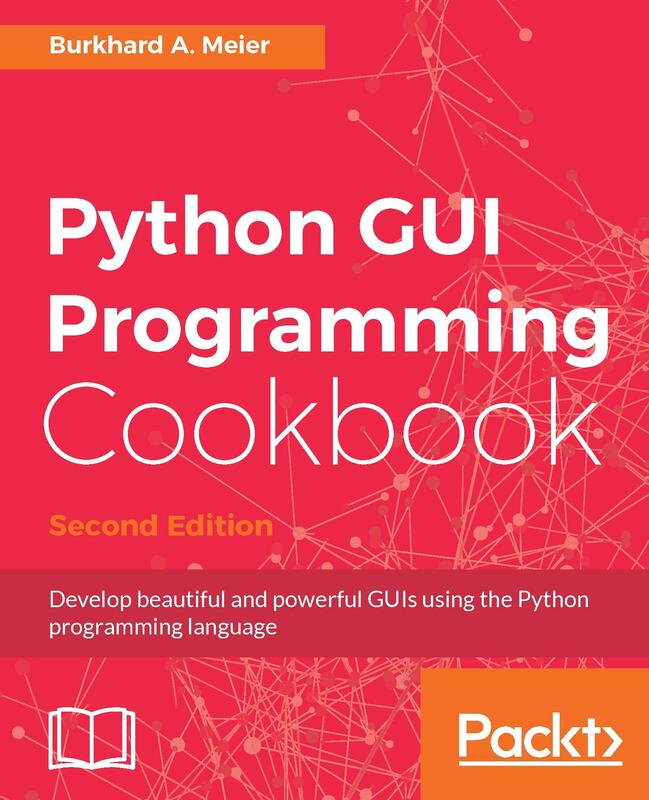 Python GUI Programming Cookbook follows a task-based approach to help you create beautiful and very effective GUIs with the least amount of code necessary. 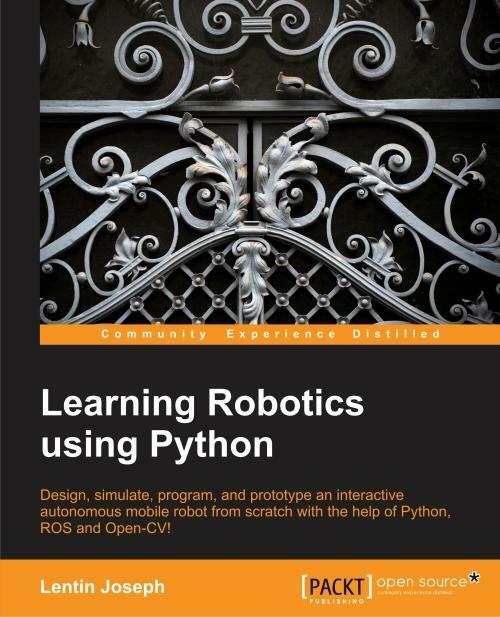 This book will guide you through the very basics of creating a fully functional GUI in Python with only a few lines of code. Each and every recipe adds more widgets to the GUIs we are creating. While the cookbook recipes all stand on their own, there is a common theme running through all of them. As our GUIs keep expanding, using more and more widgets, we start to talk to networks, databases, and graphical libraries that greatly enhance our GUI’s functionality. This book is what you need to expand your knowledge on the subject of GUIs, and make sure you’re not missing out in the long run. Burkhard A. Meier has more than 17 years of professional experience working in the software industry as a software tester and developer, specializing in software test automation development, execution, and analysis. He has a very strong background in Python 3 software test automation development, as well as in SQL relational database administration, the development of stored procedures, and debugging code. While experienced in Visual Studio .NET C#, Visual Test, TestComplete, and other testing languages (such as C/C++), the main focus of the author over the past five years has been developing test automation written in Python 3 to test the leading edge of FLIR ONE (now in its third generation) infrared cameras for iPhone and Android smart phones and handheld tablets, as well as assuring the quality of FLIR bolometer IR camera platforms. Being highly appreciative of art, beauty, and programming, the author developed GUIs in C# and Python to streamline everyday test automation tasks, enabling these automated tests to run unattended for weeks, collecting very useful data to be analyzed and automatically plotted into graphs and e-mailed to upper management upon completion of nightly automated test runs. His previous jobs include working as a senior test automation engineer and designer for InfoGenesis (now Agilysys), QAD, InTouch Health, and FLIR Systems. 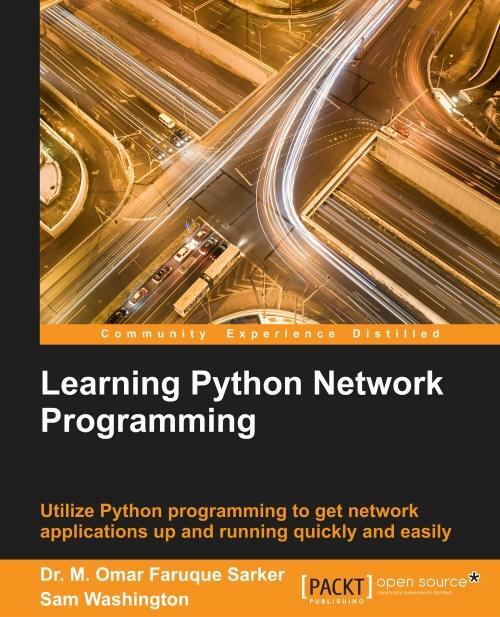 If you're a Python developer or a system administrator with Python experience and you're looking to take your first steps in network programming, then this book is for you. Basic knowledge of Python is assumed.